I don’t buy something unless I can figure out at least 2 different ways to use it. This is my approach to small kitchen appliances and the latest trend in foods. 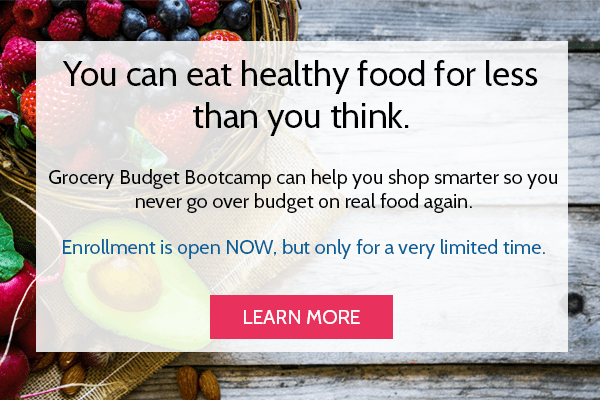 I don’t care how healthy it is – if I can only use it for one sole purpose, I’m not buying it. That’s one reason why I’ve come up with a huge list of ways to use flax seed. That, and because my eye doctor told me to eat more fish. What does fish have to do with flaxseed? Let me explain. I went to the eye doctor earlier this year for my yearly check-up and during my appointment, my eye doctor asked if my eyes watered a lot and were itchy. I said yes and explained that it was because of allergies. Or that it could be the sun, because my eyes are light-colored and have been sensitive to light for as long as I can remember. Meobomianitis is when the glands in the eye lids are swollen and clogged and cannot produce oil to lubricate the eyes. As a result, the eyes are dry. She said that if left untreated, I could have chronic dry eye and require eye drops for the rest of my life! Her recommendation was to treat meibomianitis from the inside out and to start taking fish oil because of the omega-3’s. Since I prefer to eat food instead of swallow pills whenever possible, I asked if I could just eat more fish. I’ve been eating salmon twice a week for lunch ever since and it’s helping, but I want to do more. When I researched more about which foods were naturally high in omega-3 fatty acids, I learned that flaxseed was very comparable to salmon in terms of the percent daily value. Who wouldn’t like benefits like those?! Generally speaking, the term “flaxseed” can mean either the whole seed or the seed ground into a powder. However, the proper term for the ground powder is milled flaxseed. You can make your own milled flaxseed by putting whole flax seeds in an inexpensive coffee grinder, but I make so many other things from scratch and there’s only so much time in the day, you know? Frankly, I’m willing to concede with flax. Milled flaxseed doesn’t cost anymore than whole flax seeds, and since my eyesight depends on incorporating flaxseed as a regular ingredient in our favorite recipes (with the help of all the ideas below!) and I’d much rather have this brand milled flaxseed ready to go instead (or you can get it off Amazon too). Omega-3 Fatty Acid- a “good” fat for heart and bone health. Lignans- free-radical fighting antioxidant found red wine; also shown to interfere with cancer-promoting effects of estrogen and promotes regular digestion. Fiber- helps keep the pipes clean. I can’t give you an entire line up of every single good-for-you ingredient, but I would take a guess that flax seed is towards the top of the list of affordability. I was able to find a 48oz re-sealable bag of organic ground flax seed at Costco for $6.79. 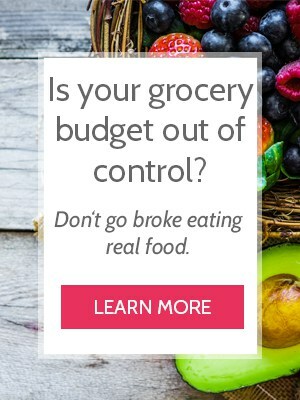 One serving is two tablespoons, making it only 7 cents per serving. I sneaked in nutrition, giving an extra oomph to unsuspecting taste testers. Flax has a “nutty” flavor, but when you add just a serving or two to a batch of something (or a recipe that already has nuts in it) you can’t really taste it. I’ve made nearly duplicate muffins where one had it and one didn’t and neither the kids nor the husband noticed. The only difference I personally can see in the final results (and it’s probably only because I know I put it in there) is that flax seed makes it more bindy. Probably not, but you know how eggs makes baked goods bind together? Like a glue? Flax seed does the same thing, but in a subtle manner. In a blind taste test, my family actually preferred the muffins with flax because they tend to be more moist and don’t crumble apart when you take bites. And yes, I actually blind folded the kids and husband! Kidding… but that would be fun! My magic ratio is one tablespoon of flax for every cup of flour. I used to take one tablespoon of flour out in order to keep the total amount of dry ingredients the same, but I don’t really do that anymore unless my flax is up to 1/4 cup or more. Notice that I’m only adding a little – not a lot. 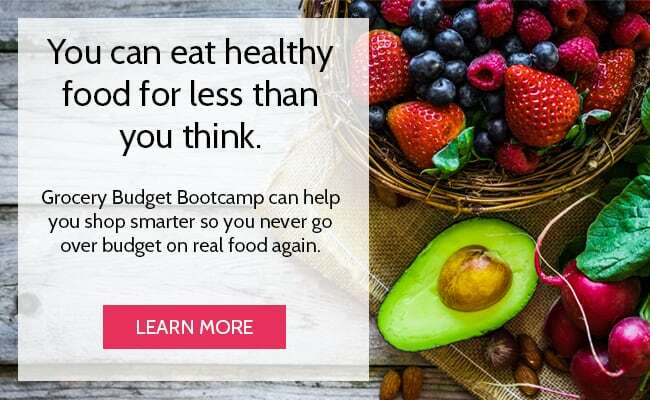 Adding more would significantly alter my recipe – and that’s fine – but it’s not my goal. 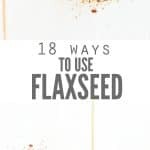 Now that we know how to increase the nutrition of the food we already eat, without sacrificing taste or altering family favorite recipes, lets get on to the best ways to use flaxseed! Whether you ran out of eggs or are baking for someone who’s allergic to eggs, you can use flaxseed as a replacement for eggs in many recipes that typically call for eggs. Flax egg doesn’t bind and stiffen like eggs do in recipes, so it’s not always a 1:1 substitution. However, using flaxseed as an egg replacer works really well in recipes like pancakes, brownies, muffins, cookies and quick breads. Beef up the nutritional value of your breaded chicken or crusted tilapia by adding flaxseed to the coating mixture. 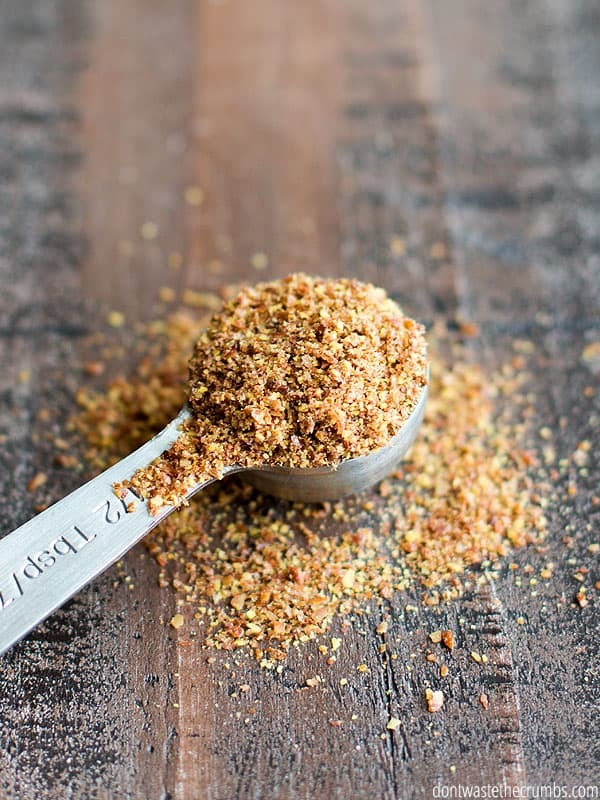 A good starting point is 1-2 Tablespoons flaxseed per cup of breadcrumbs. Flaxseed has a slightly nutty flavor and would compliment any coconut or herb based coating. It would be good on homemade chicken nuggets or almond crusted chicken. The reason French toast is crispy and the coating of baked chicken comes out crunchy is because of the egg wash. But making an egg-less “egg wash” a great way to use flaxseed. To make an egg-less “egg wash,” combine 1 Tablespoon flaxseed with 1 cup milk and any other flavors you usually add when you’re making French toast (i.e. cinnamon, vanilla extract, etc.). Let this mixture sit for 10-20 minutes and stir before using. I’m kinda picky about texture on certain things, like applesauce. I like my homemade applesauce to be thick. I don’t care if it has chunks or not, but I don’t like runny applesauce. Use flaxseed to thicken applesauce or cottage cheese or any other dish that might be too watery. 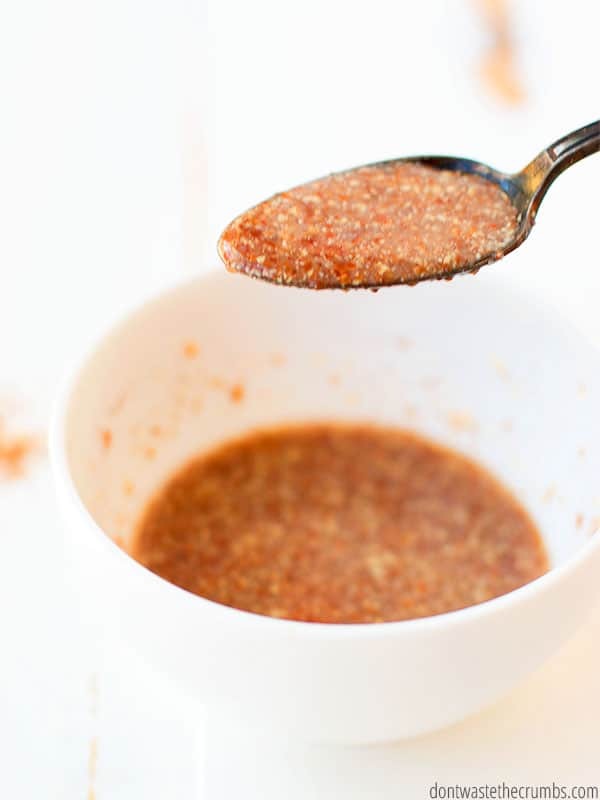 Start with adding ½ tsp flaxseed to ½ cup of your item and let it stand for 5 minutes. Add additional flax as needed until you reach the desired thickness. Traditional pudding is made with eggs, but since you can use flaxseed in lieu of eggs in other recipes, why not use flaxseed in homemade pudding! For a basic flaxseed pudding recipe, combine 3 Tablespoons flaxseed with ½ cup milk. You can add honey or maple syrup to sweeten, or even ¼ tsp vanilla extract and a pinch of salt to flavor. Combine everything in a jar and let it sit in the fridge for at least 15 minutes, or overnight. Stir before enjoying! Think of all the recipes that call for breadcrumbs… meatloaf, meatballs, baked macaroni and cheese, crab cakes… Now think of all the ways you can use flaxseeds instead! For recipes that use a small amount of breadcrumbs as a binder, like meatloaf and meatballs, swap flaxseeds directly for the breadcrumbs. 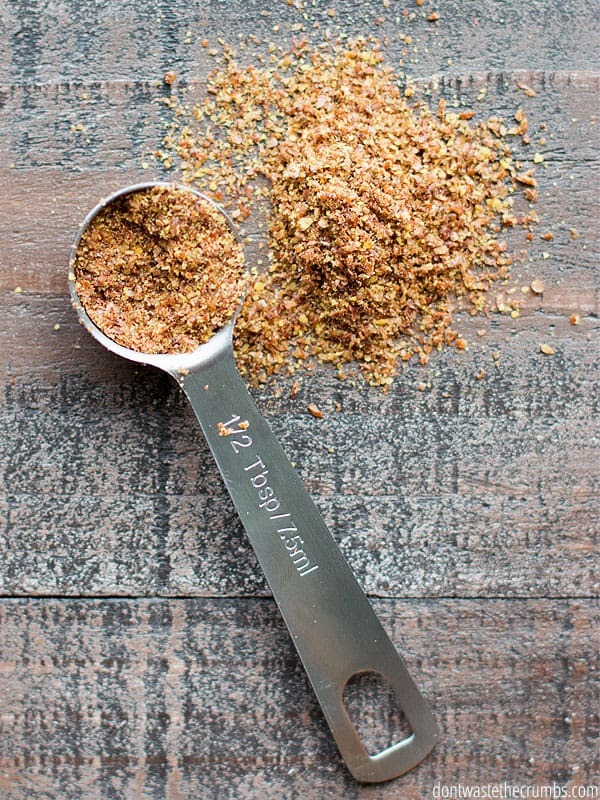 For recipes that use a larger amount of breadcrumbs, swap flaxseed for part of the breadcrumbs. I’d start with substituting up to ¼ of the breadcrumbs with flaxseeds, and then taste and adjust as needed. 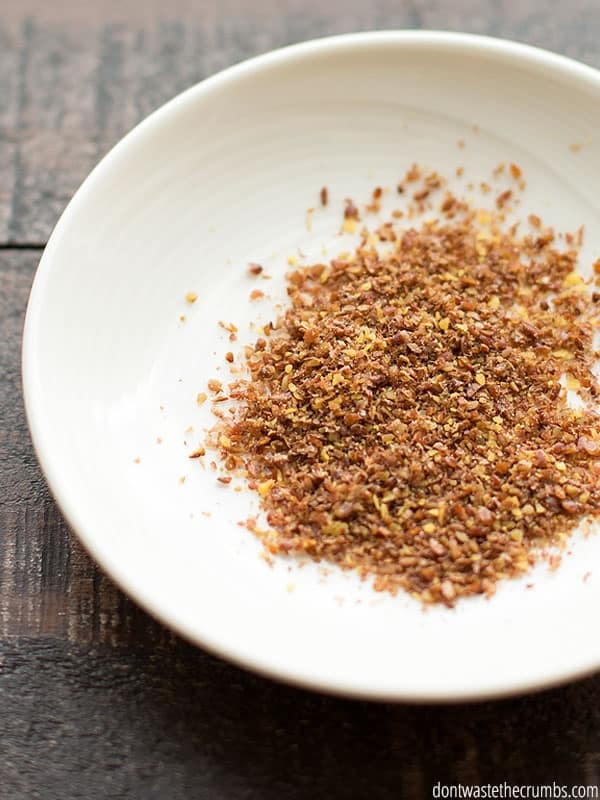 Here’s how you make your own breadcrumbs. The most basic granola recipe is essentially toasted oats and in my opinion, is fairly boring. But when you add other delicious and healthy ingredients like flaxseed, granola becomes incredibly delicious and borderline gourmet! Start with your favorite granola recipe (strawberry chocolate and cranberry orange and classic cinnamon are the winners in our house) and add 2 tablespoons of flaxseed per 1 cup of oats when you add the other dry ingredients. Since you can use flaxseed as a binder, it only makes sense to add it to foods that are already bound together, like granola bars! Again, start with your favorite recipe (I recommend no bake soft and chewy peanut butter chocolate chips granola bars) and add 2 tablespoons of flaxseed per 1 cup of oats. Be sure to incorporate the flaxseeds well in any granola bar recipe, so that they’re evenly distributed among the wet ingredients. I use flaxseed specifically in my no bake sweet and salty energy bites. Oat bran and wheat germ are often used in baking recipes to add nutritional value, but neither of these ingredients are readily available in most grocery stores. If you’re allergic to wheat or are celiac, wheat germ is not an option. Luckily, you can use flaxseed instead! Substitute flaxseed for oat bran, wheat germ and/or wheat bran in a 1:1 ratio. A great recipe to give this a try is mix-and-match homemade granola bars. Adding flaxseed to smoothies isn’t a new concept, but it’s so simple and effective that it’s worth repeating. Add 1-2 tablespoons of flaxseed per 1 serving of smoothie. Flaxseed will absorb some of the liquid as it sits so either drink quickly or add another ¼ – 1/2 cup liquid to the smoothie recipe to compensate. Tip: This is one way to boost the protein profile in homemade protein smoothies! It’s still summer, but when I’m making slow cooker soups this fall, flaxseed will fit right in. The amount of flax you can add to your soup will depend on the type of soup it is. For soups that are thin and mostly broth, add 1-2 tablespoons per cup of stock. For soups that are thicker, like stews or chili, can add 3-4 tablespoons per cup of stock. Anytime you eat peanut butter, you can probably eat flaxseed too. Making a PBJ for lunch? Sprinkle some flaxseed on top. Topping toast with peanut butter and honey? Sprinkle some flaxseed on top. You know how the oils in natural peanut butter will separate and rise to the top of the jar? Take the thickening properties of flaxseed and put them to work in your peanut butter jar! Start by adding 1 teaspoon of flaxseed per 15-16 ounces of peanut butter. Stir it together well and let it sit for at least 15 minutes, but preferably overnight. Stir again and if the oil continues to separate more than you’d like, add another 1 teaspoon flaxseed and repeat the process. Remember that you can always add more flaxseed to thicken, but it’s harder to add more oil to thin. The most basic homemade cracker recipe is only 3 ingredients, and adding flax is an easy way to boost the nutrition of an otherwise very plain cracker! Add 1-2 teaspoon per cup of flour to the recipe. You might have to add additional liquid to compensate for the additional dry ingredient. Another option is to make the cracker recipe as-is, and then sprinkle flaxseed on top just prior to baking. 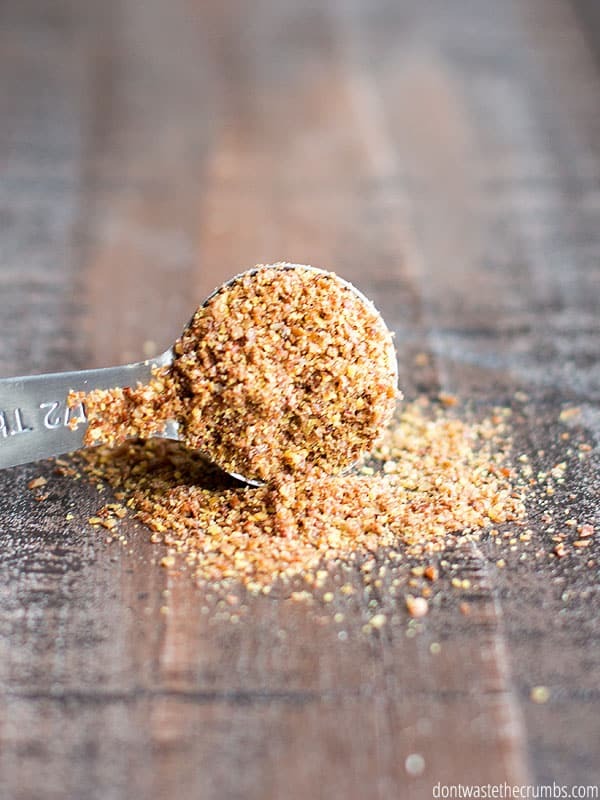 When mixed with other ingredients, flaxseed looks a lot like ground pepper. And when it’s all mixed up with greens and veggies and homemade salad dressing, you can’t even taste it. For a single serving salad, sprinkle ½-1 teaspoon of flaxseed on top. Dress the salad and toss before serving. For main meal salads, use 1-2 tablespoons flaxseed. Wednesday is pasta night in our house. It’s quick, it’s easy and it’s a “night off” from cooking bigger meals in the kitchen. It’s also a prime opportunity to use flaxseed! Add 1-2 tablespoons of flaxseed per 1 cup of your favorite pasta sauce (we like meat-based hearty spaghetti sauce). This is also a great way to “doctor up” store-bought pasta sauces. If you can get your family to eat beans, then flaxseed is a no-brainer. If there’s a bean-hater in your family, I recommend either chocolate hummus or cookie dough hummus. Both are amazing and will have kids (and husbands!) asking for more. Depending on the recipe, you’ll want to add between 1-2 teaspoons of flaxseed to 1 cup of hummus. Add less for recipes where a nutty flavor will stand out. Add more for recipes that compliment the nutty flavor of flaxseed. I’m a huge fan of butter, so I don’t know if I’ll ever try this substitution idea or not, but it might be perfect for those who can’t have butter or oil for whatever reason. Substitute 1 tablespoon butter or oil with 3 tablespoons flaxseed. Wow – that’s a pretty amazing list of ways to use flaxseed, don’t you think? 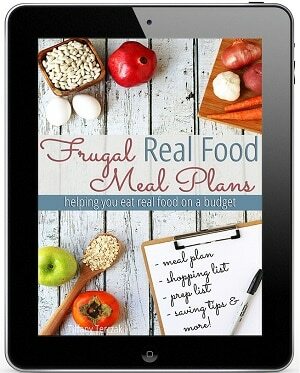 With all of these ideas, you can bet I’ve got some awesome flaxseed recipes coming up!! 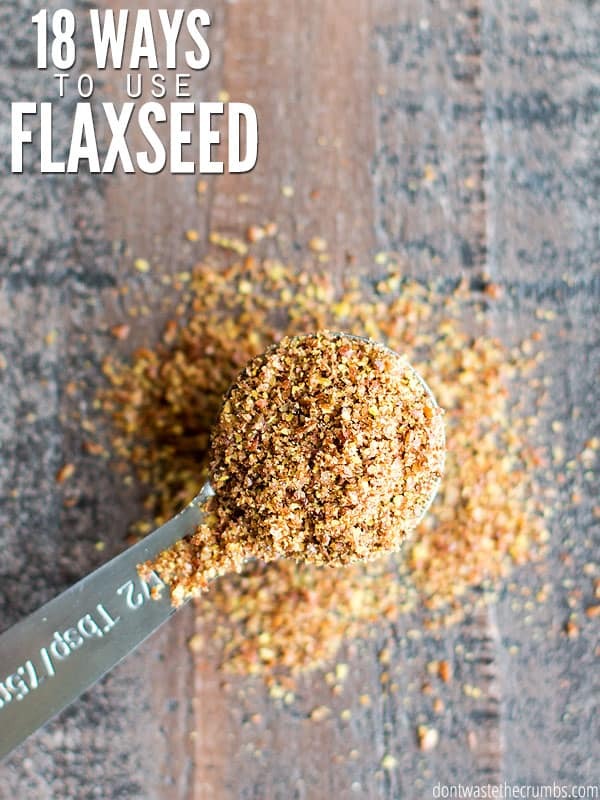 Do you use flaxseed at home? What other ways do you incorporate it into your foods? To make gluten free low carb muffin in the microwave! http://www.food.com/recipe/one-minute-flax-muffin-low-carb-295649Can also be made savory by omitting the stevia and cinnamon. I add a pinch of salt ether way. Nice! I’ve actually got a mug cake to share – coming soon!! Fantastic! I will definitely be trying some off these for added nutrition! Yes! We bake with it all the time! I have a good cinnamon muffin recipe. And I love to grind my own in the coffee maker. I like the golden best for lightest flavor. We also make a bread with it and almond flour and eggs. I sneak it into oatmeal, baked oatmeal, sausage balls, meatloaf, and granola. I haven’t considered using it as a coating for chicken but may give it a try the next time we make tenders or nuggets. So good to know it can help dry eye–which I’ve been dealing with as well this year. The fish oil is so much more effective than the Restasis in my cabinet! I actually make hair styling gel with flax seeds. Works great and I don’t have to use chemicals on my hair. ? Not food related but, I make homemade flax seed gel too. My natural curls love it. I thought I would see it on the list here. I’ve been doing a lot of research lately about omega-3 fatty acids, and have learned that the ones in flax are different than the ones in fish and fish oil. Flax has ALA and fish/fish oil has EPA and DHA. The difference is important when talking about heart health, so you may want to investigate if one is better than the other or if they are equally good for helping your eye condition. Great information. Thanks for your research. I’m definitely going to try some. Especially the pasta sauce, soup and peanut butter ones. Thanks for all the great ideas! I just want to mention that I had no luck using the egg replacing flax-egg idea with gluten free flour. I made pancakes one morning, didn’t have eggs and so I used flax-egg replacement. Well the pancakes never really cooked no matter how long I left them in the pan. We ate them, but texture was too moist. Anyone have any suggestions as to why this is the case and how this can be avoided? (I was using the Artisinal GF flour mixture recipe and the pancake recipe from the same book). Interesting – I’m not sure why it wouldn’t work Deborah! I haven’t read much on flax as an egg in GF baking specifically, so with what I do know, my best guess would be that traditional flour contains gluten and gluten (and grains) absorb liquid. I don’t think some GF flours absorb liquid as well. Hi Tiffany! I’m so glad I came across this post. I have a big bag of milled flax seed that I bought from Costco. 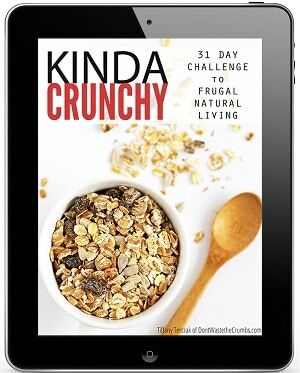 I’ve used it a couple of times – mainly in granola – but needed some more ideas for how to use it. I really like your 2-use rule, by the way. Very smart! Pinning this! I’m so glad you found this article helpful Marge! It’s strange – now that I know all the ways to use it, I find myself using it every day!! I absolutely love flax seed! There are so many ways to incorporate it in your daily meals; thanks for sharing this post. I usually buy the whole seeds and grind them in my coffee grinder or using the blender. I add them in all the smoothies, cookies, pancakes, muffins, don’t even remember a meal without them ? Have a great day! 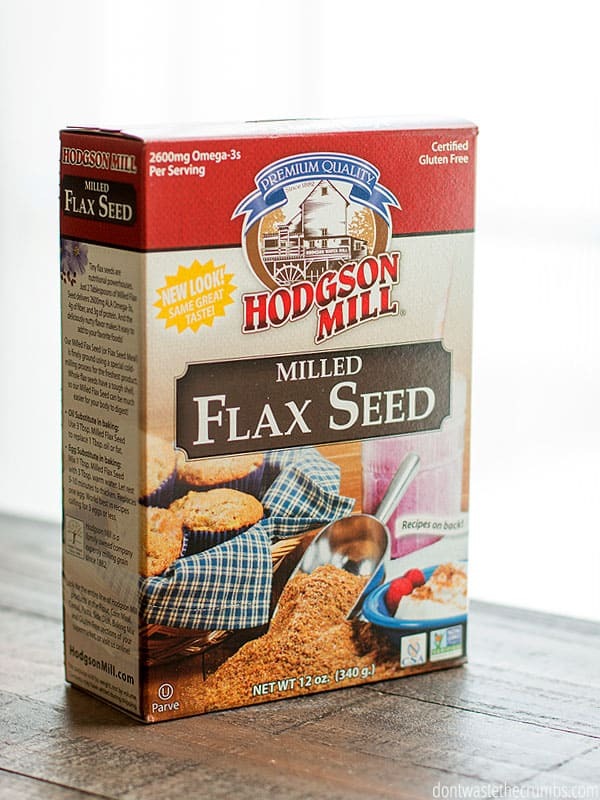 Do remember to store your flax seed, milled or whole, in the refrigerator or freezer as they go rancid very quickly. I have a super simple and super low carb cracker recipe that I read in lowcarb blog somewhere. This recipe has been a staple for several years and I make a savory and a sweet batch every week. The crackers are solid enough to hold butter and slices of cheese or meat. You don’t have to store them in anything special – as I finish them within the week I just keep them on two different plates on my kitchen counter. If they feel soft, just put them in the micro for 1 minute. 2 cups of milled flaxseed mixed thoroughly with 1 cup of water. Add 1/2 tsp salt and either bread spices for savory or sweetener and gingerbread spices for gingerbread crackers. Cover (I use a 4-cup Pyrex measuring jar) the mixture with cling wrap and leave it for at least 1 hour – can even sit overnight. It will make a pretty solid lump. Cut out a few rounds (the size of your microwave plate) of parchment paper and with a spoon dot out good-sized lumps which you flatten to the size of a small saucer with the help of a fork. I usually get about 3 per paper – they don’t really spread so you might get 4 if you make them smaller. Start by microing on full about 4 minutes – if not hard, add increments of 30 seconds until the crackers are crisp. How many crackers you get depends on how big you make them but I usually get 18 crackers per batch. You can also add a few tablespoons of whole flax seeds for more crunch. I add my flax seed to my oatmeal, cereal, and granola. I make a large batch of oatmeal for work every week and I add flax seed to the mix along with my dried fruit and other ingredients. I like that you mention trying flax seeds in smoothies because they’re not really noticeable. I put spinach in smoothies because you don’t really notice it, so doing it with flax seeds seems like a great idea! I’ve been thinking of incorporating flax seeds into my diet, so this is a really helpful article! Yes, that or a coffee grinder works fine for flax seed. I ground my own for all my baking needs. Flax seed is a huge miracle for me!! 2 tablespoons a day in my smoothie and I feel like a new person!! YAY! 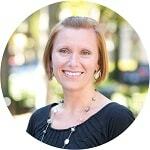 I’m so happy to hear that Lorrie! One site says that flaxseed’s increase breast size. Another site says that it decreases the size. Anybody know which one is accurate? I add flax seed meal to my veggie burger and bean burger mixes. I use flax seed meal as a substitute for bran in many recipes. Any recipe that you can add nuts to, you can sneak milled flax seed into, too. I add it to the food processor when I make pesto. I use two tablespoons mixed in a glass of water with the juice and zest of a lemon. Flavor with a squirt of Mio lemon lime sport. Refreshing and healthy!